Servitors are used as shock troops starship battles. The servitors are teleported or shot over to an enemy ship using a boarding torpedo. Then they wreak havoc on the hapless crew. 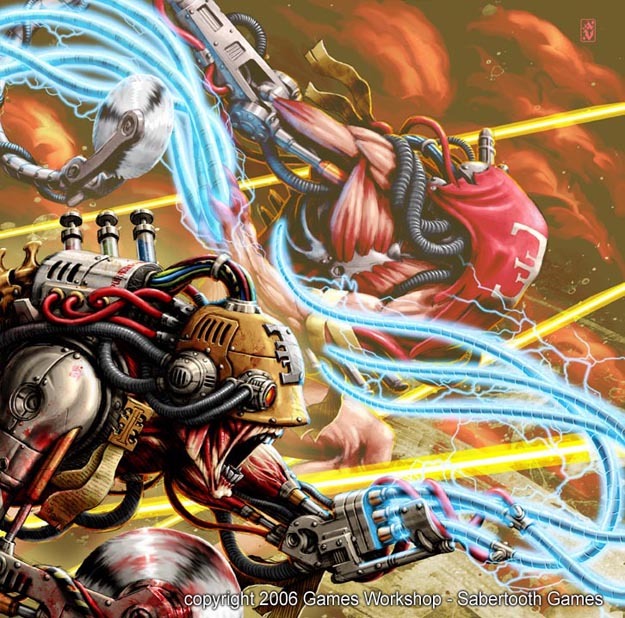 The Adeptus Mechanicus also use servitors as guards for secure facilities and prisons. 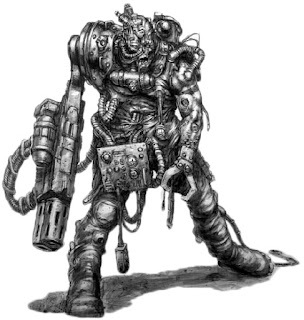 There are a few different versions of combat servitors. 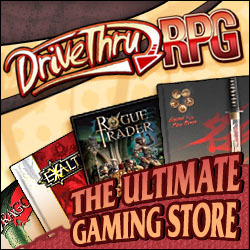 The Lathe Worlds book has some that are quite powerful, the adventure Broken Chains has a different version, and the Dark Heresy 2E book has the combat servitor. Just for fun I'll do all 3. Dark-sight - Sees in the dark. Unnatural Strength (2) - Stronger Figured in above. Unnatural Toughness (2) - Tougher, figured in to armor. Razor Weapons : If an 8 or higher is rolled on damage then double Pen to 8. Crippling Strike - Called shot to disable a limb. Frenzy - +10 to Hit but cannot dodge or parry.